Club football resumed yesterday and many big clubs would have wished it didn’t. Manchester United, Chelsea and Real Madrid all lost points in what was a day of upsets. 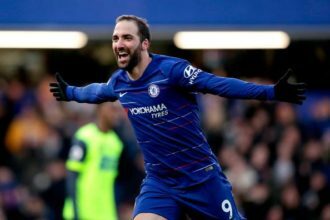 Manchester United, who lost to City two weeks ago, drew with Palace at home while reigning Champion’s League Champions, Real Madrid lost spectacularly to Elbar in what is becoming a truly embarrassing season while Chelsea lost their unbeaten credentials as they fell to Tottenham at Wembley. 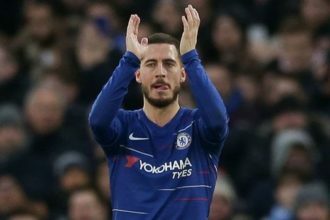 Chelsea’s loss to rivals Tottenham wasn’t particularly jarring, but what was surprising was the manner. Tottenham looked the better side and Chelsea’s midfield was steamrolled over quite easily by Pochetino’s men who were comfortable throughout the whole game and atimes looked miles better than the FA. Cup holders. Two first half goals from Dele Ali and Harry Kane gave Spurs the lead going into half time. Son added a third in the second half before Giroud scored a consolation for the Blues who suffered their first defeat of the season. But the biggest upset was Madrid losing 3-0 to Elbar in the La-Liga. Worst still, Elbar the margin could have even been larger, as Elbar was guilty of profligacy in front of goal. 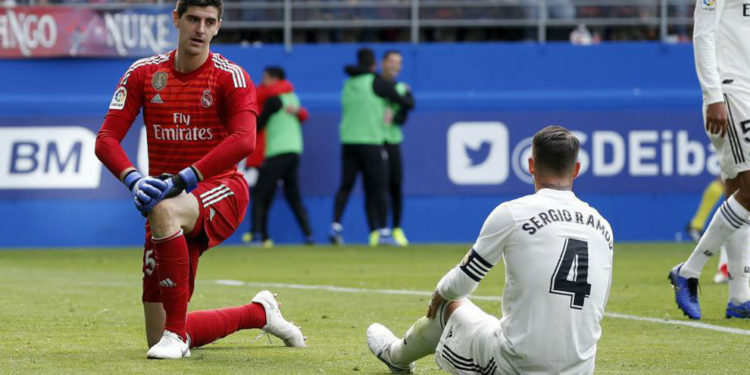 They also have Courtois to thank, who made three superb saves to save his team from further embarrassment. Madrid’s new manager, Santiago Solari, who have won his first four games was brought back down to earth and reminded of the task before him. How he responds to the call will determine how long he stays on the job. Ramos has said Madrid failed to match the intensity of the Elbar players and that the performance was unacceptable.